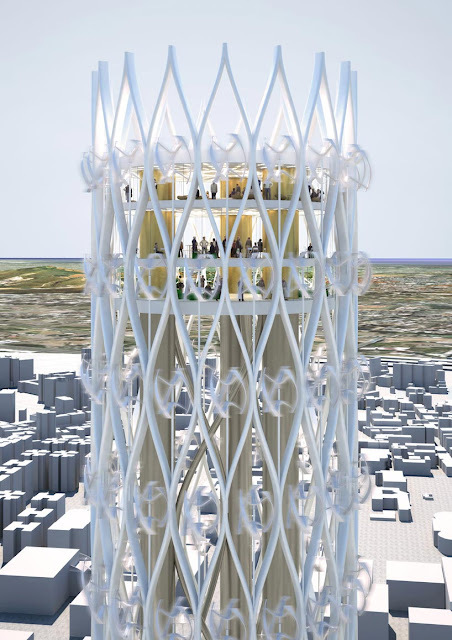 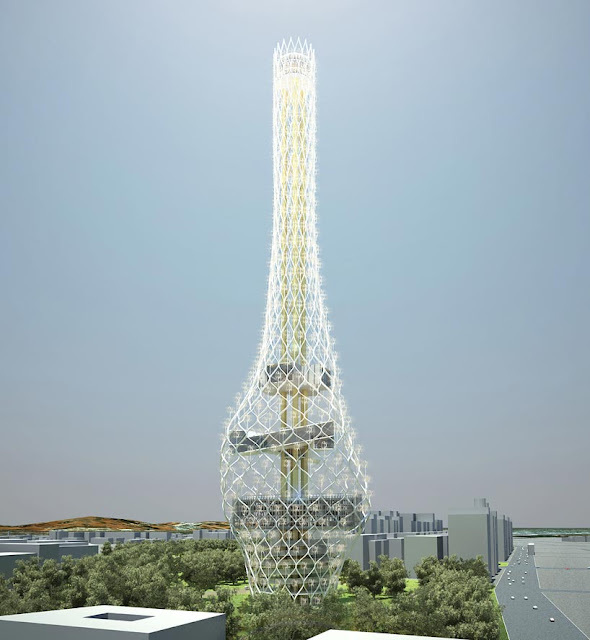 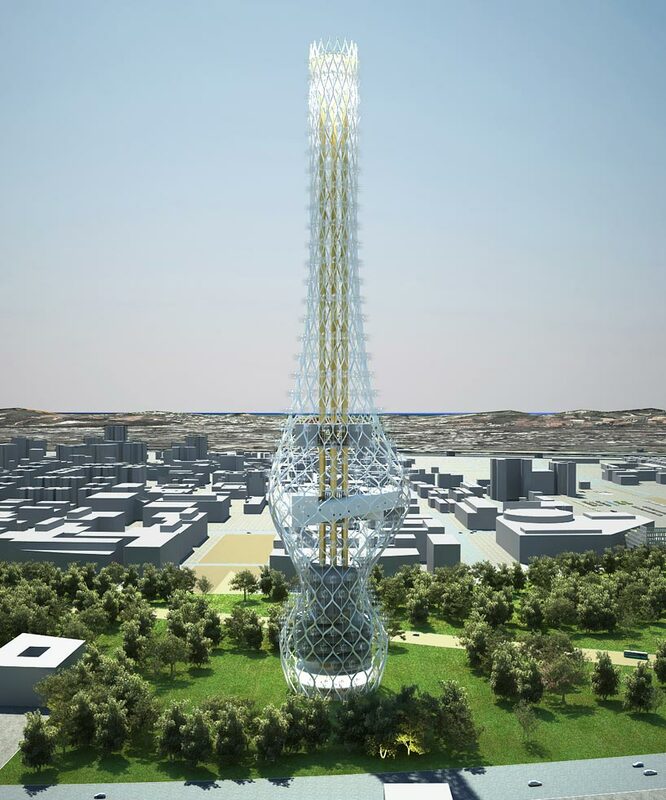 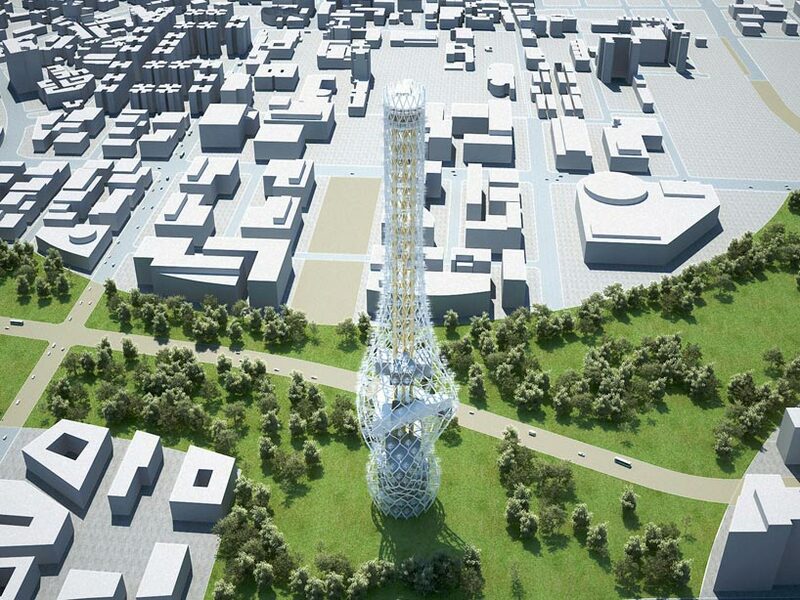 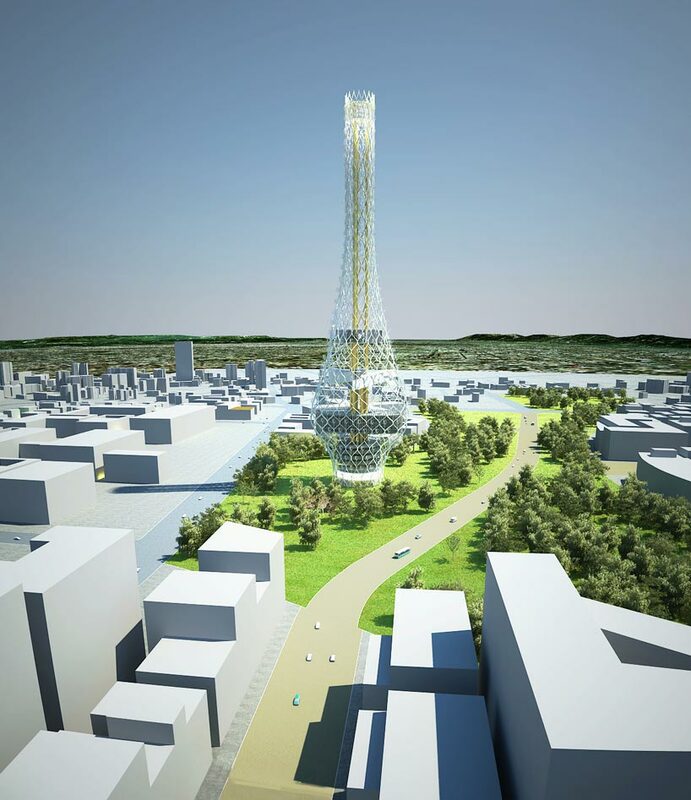 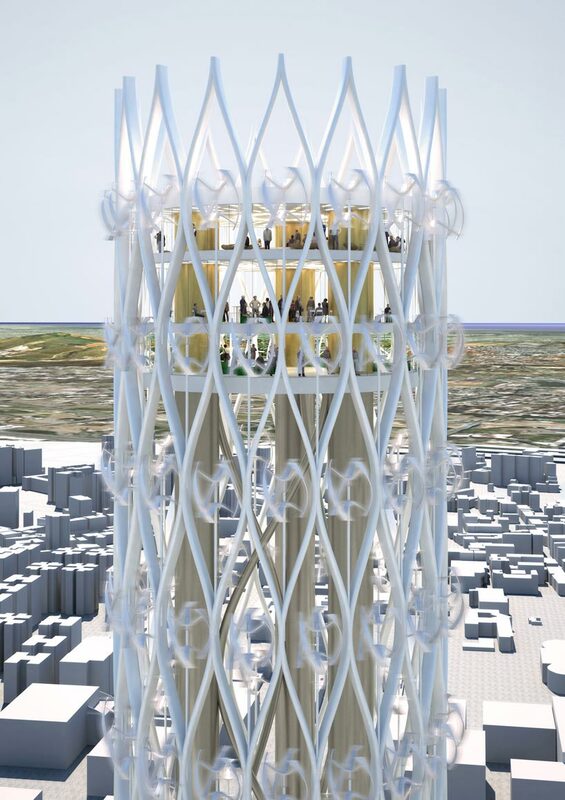 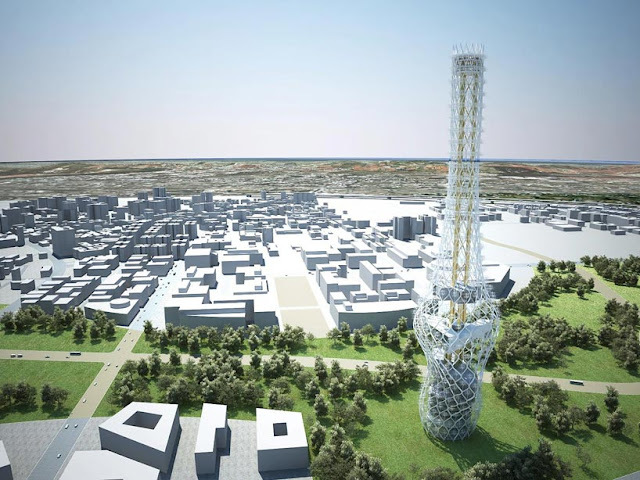 Tower of Power is one of the proposals in competition for Taiwan's observation tower. This 300m proposal is work of a NL Architects. Modern architecture producing green energy is very popular theme these days. 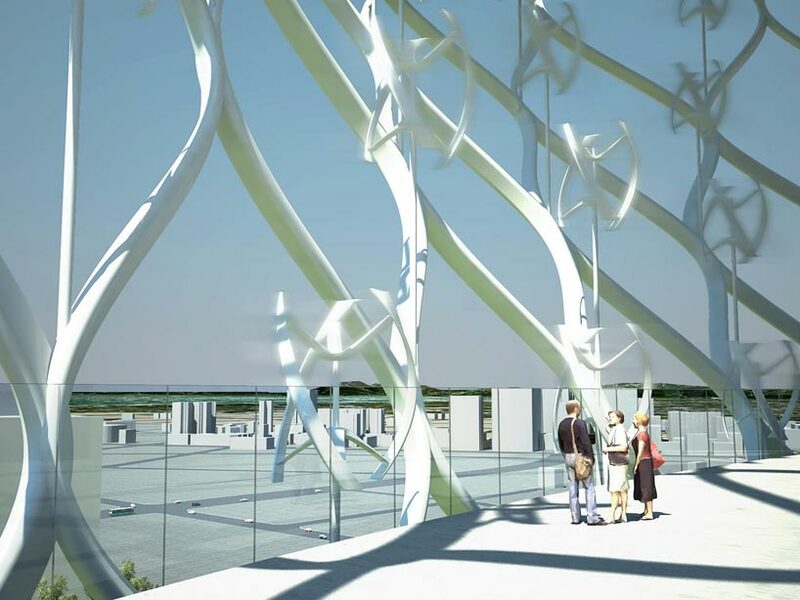 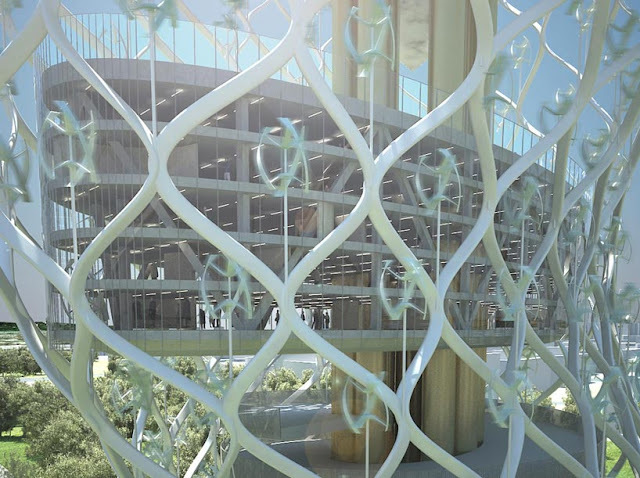 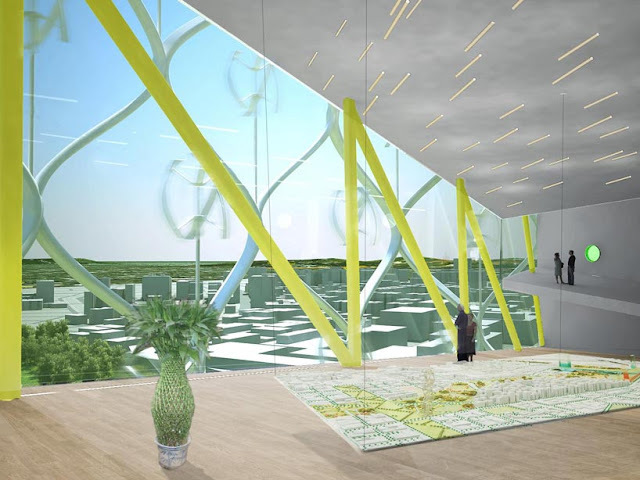 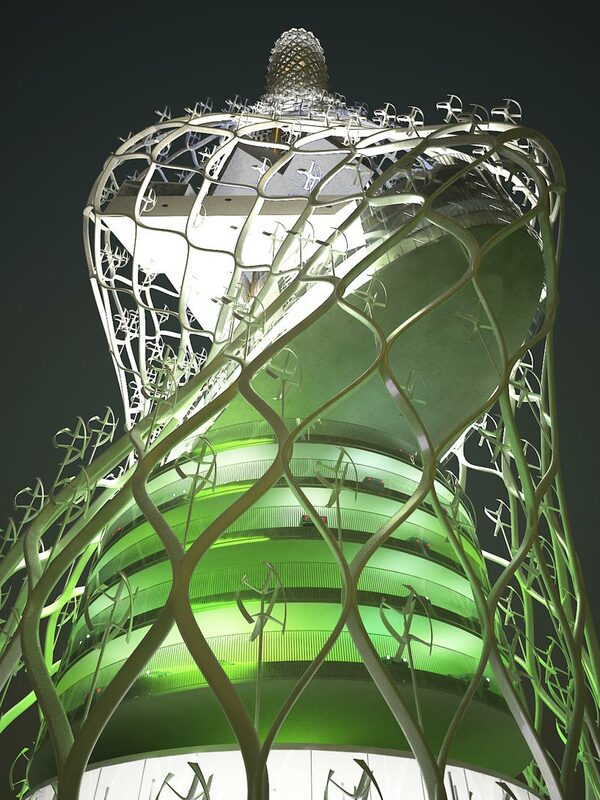 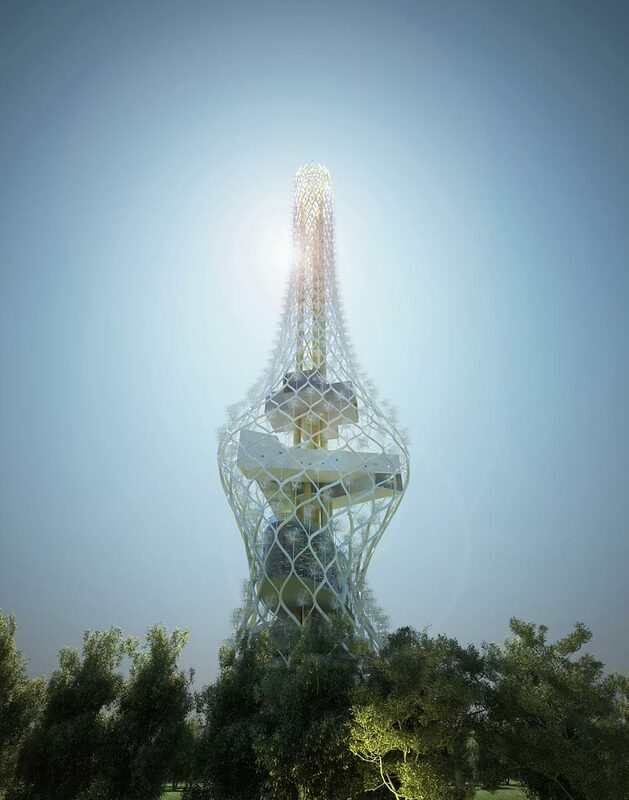 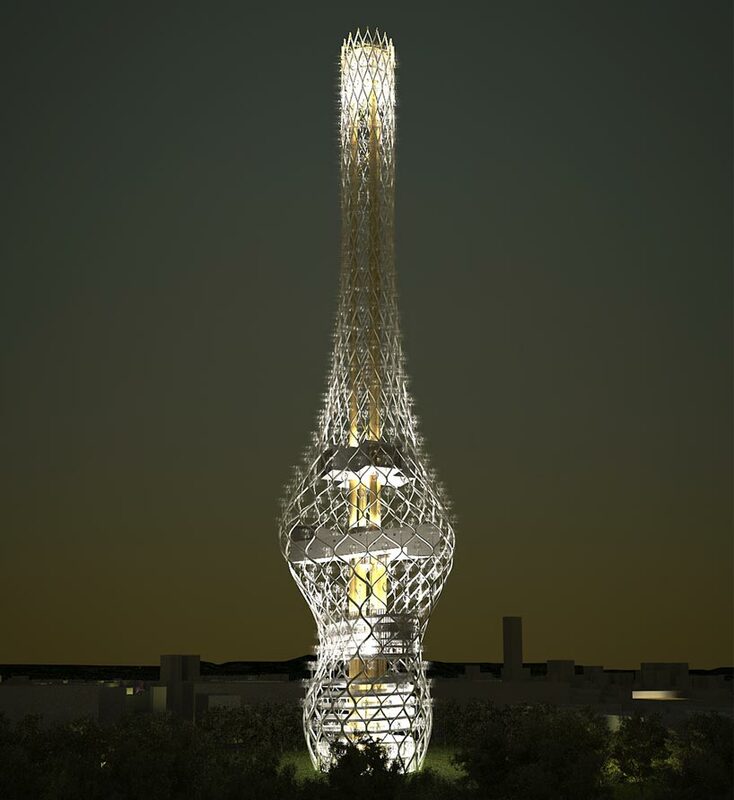 The main idea was to create an observation tower with the sustainability and green energy features. Along its height of 300m (984ft) tower is supposed to have 2000 rotors that produce 8 MV of power. 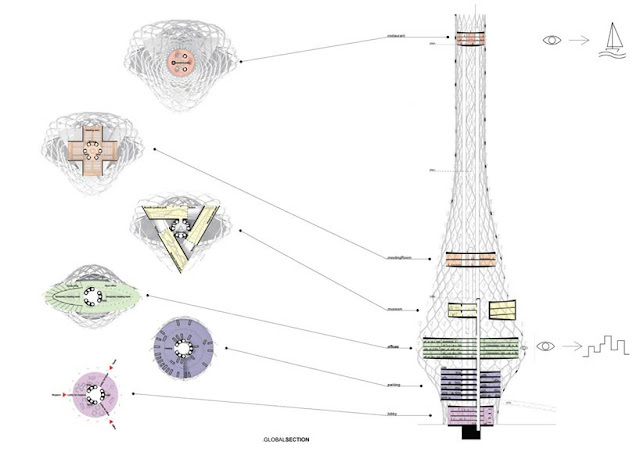 Design is quite interesting. 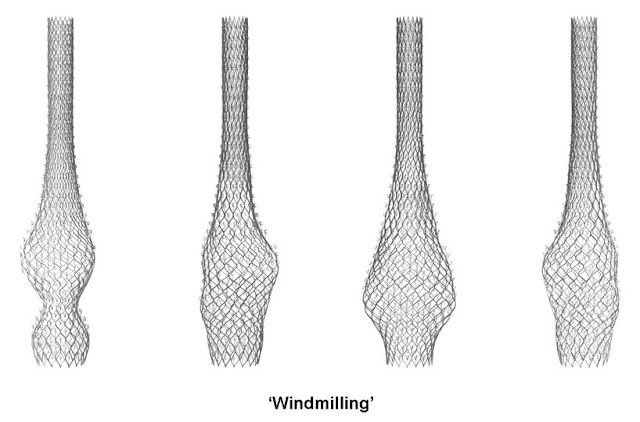 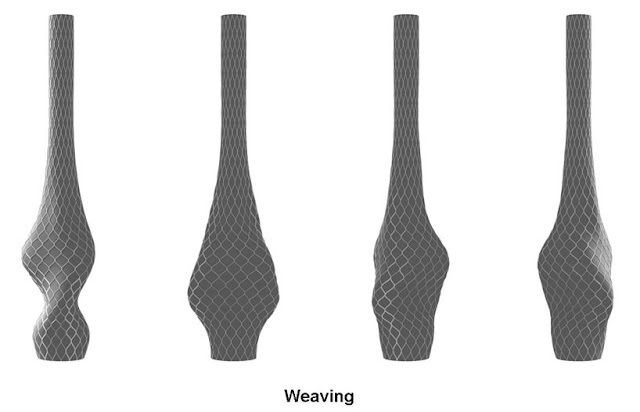 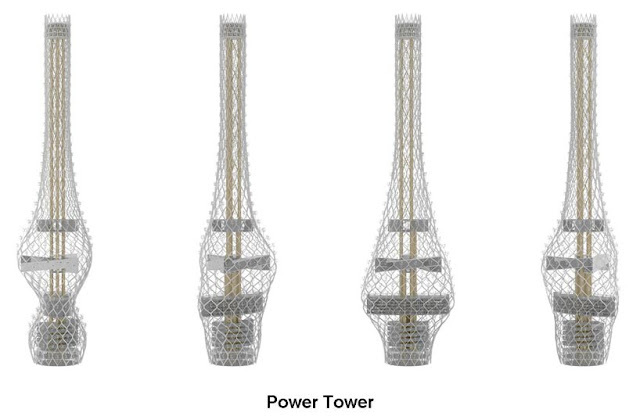 Structural net wrapped around the tower gives huge amount of space available for "eddy" wind turbines. 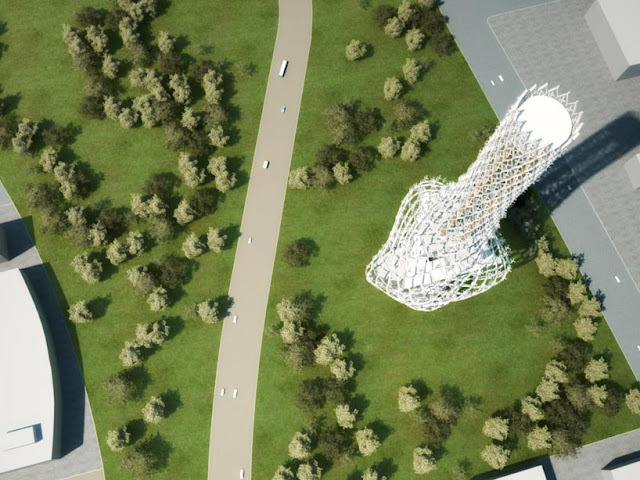 "Eddy" wind turbines are strong, affordable and silent. 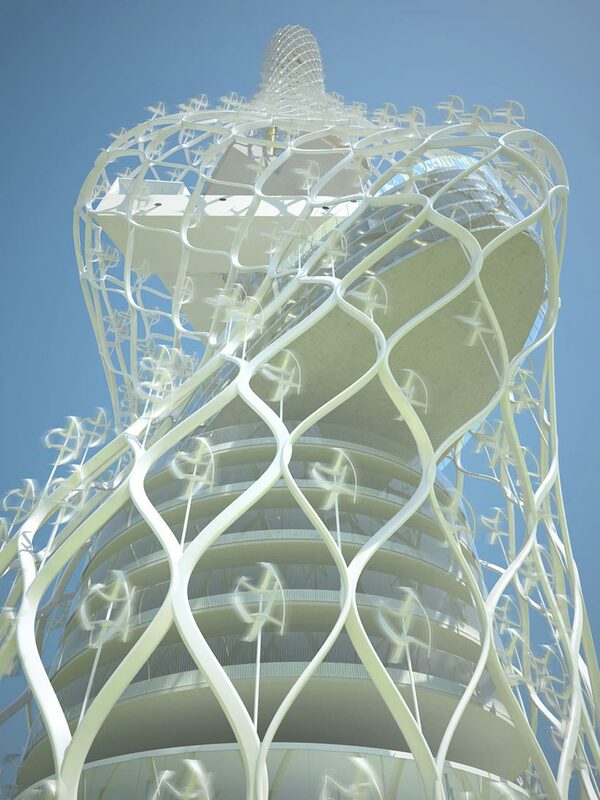 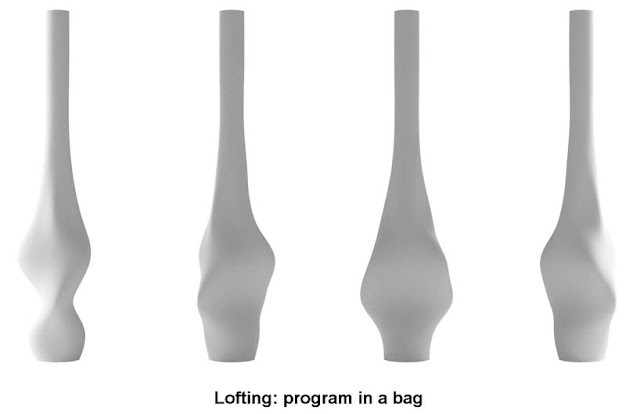 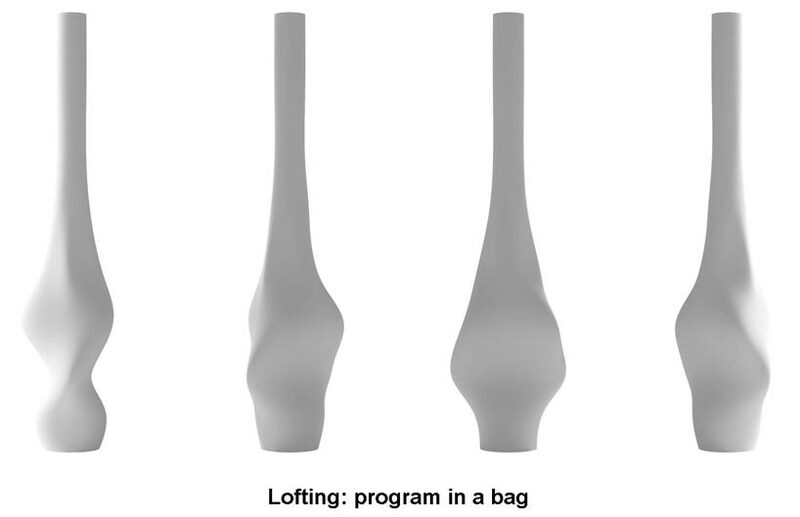 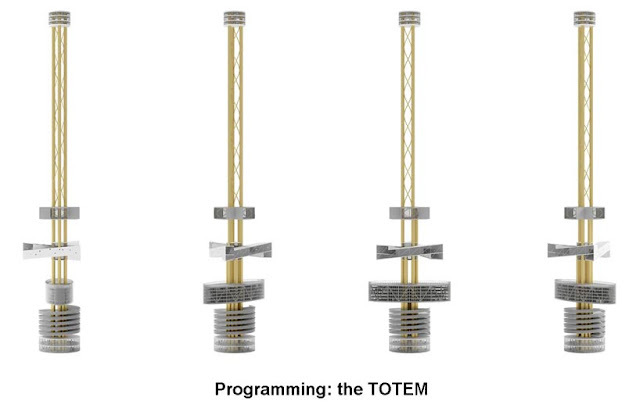 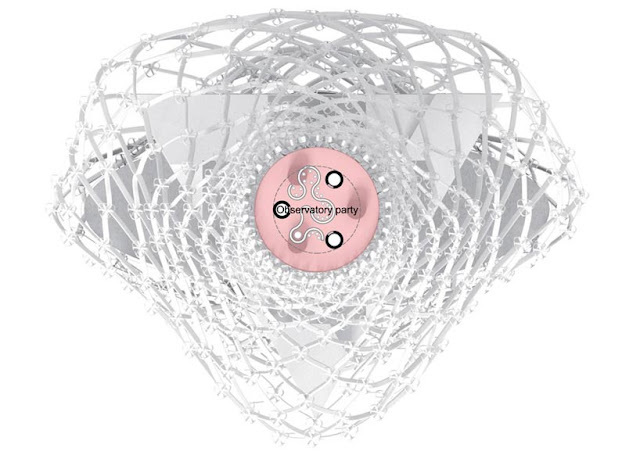 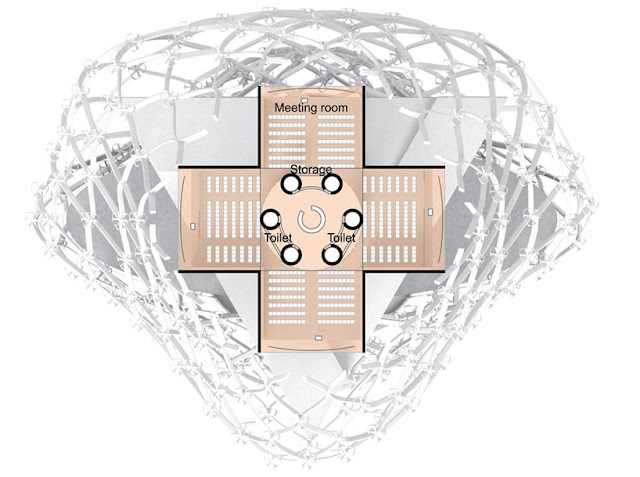 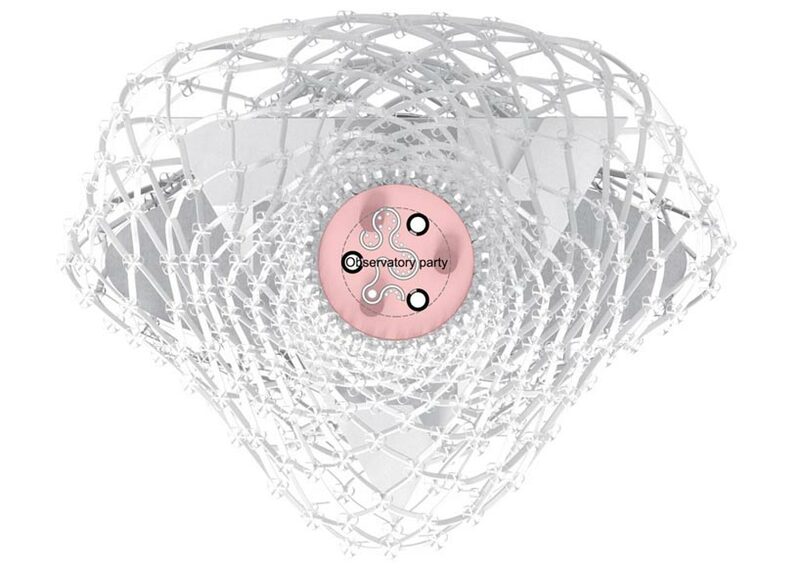 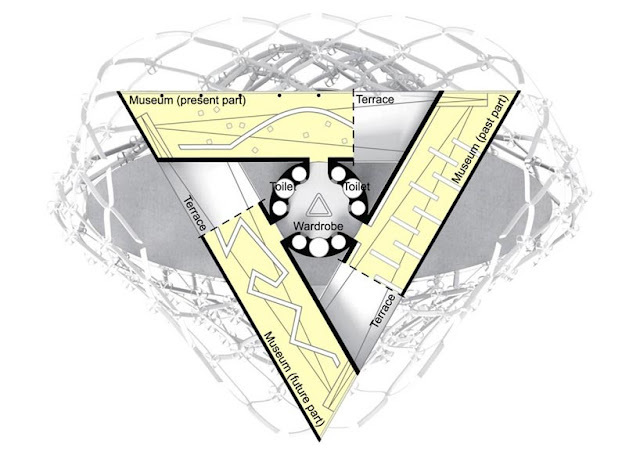 Because of the vertical axis design, "eddy" can produce energy with wind from any direction. 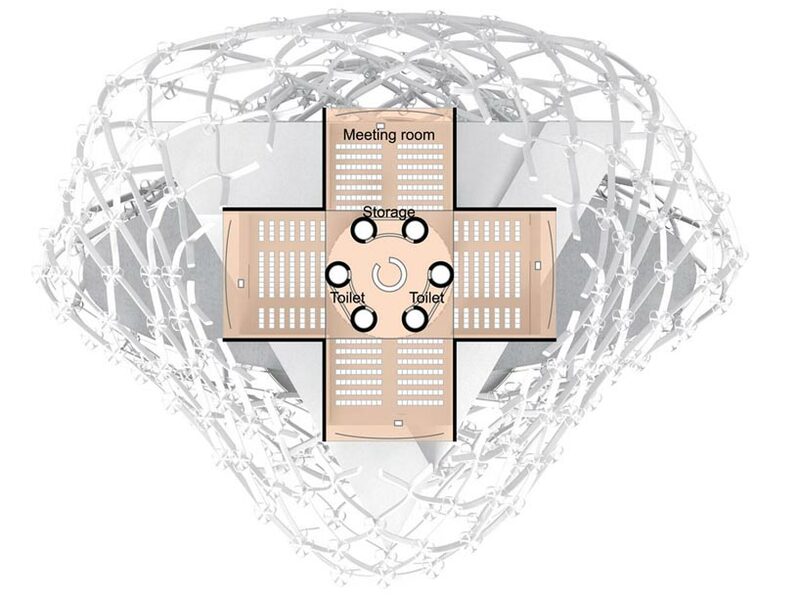 It can be mounted virtually everywhere.